The Big 12 Men’s Basketball Tournament continues Friday at the Sprint Center in Kansas City. HeartlandCollegeSports.com will be there for the entire event. Today we preview the first game of the semifinals — Iowa State vs. Kansas State. Season series (1-1): Kansas State def. 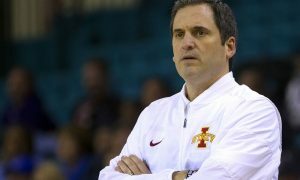 Iowa State, 58-57, in Ames, Iowa, on Jan. 12; Iowa State def. Kansas State, 78-64, on Feb. 16 in Manhattan, Kansas. 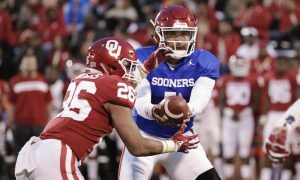 Winner gets: a berth in Saturday’s Big 12 Championship Game. 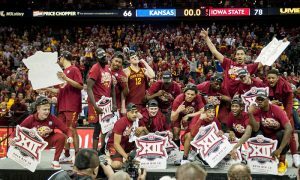 Big 12 Tournament results: Iowa State def. Baylor, 83-66; Kansas State def. 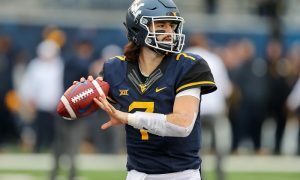 TCU, 70-61. Kansas State: G Kamau Stokes, G Barry Brown Jr., G Xavier Sneed, F Austin Trice , F Makol Mawien. Iowa State: Horton-Tucker. Perhaps he was a bit miffed that he didn’t win the Big 12 Freshman of the Year award, given by the league’s coaches to Texas forward Jaxson Hayes. Horton-Tucker lit it up against Baylor, as he scored 21 points and was 5-of-9 from the 3-point line. In fact it was Horton-Tucker who sparked the Cyclones early, as they shot better than 50 percent from the line from both the field and the 3-point line. 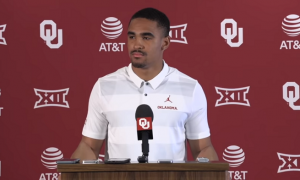 Horton-Tucker has been one of the most consistent freshmen in the Big 12 this season and the future is bright for him and fellow frosh starter Tyrese Halliburton. The fact that he’s contributing like this in the Big 12 Tournament bodes well for the NCAAs. Kansas State: Cartier Diarra. After the Wildcats lost Dean Wade for the Big 12 Tournament (he was declared doubtful and didn’t play on Thursday) I wondered where they would get a boost. Well Diarra returned to the lineup for the first time in about a month and he ended up playing 29 minutes, scoring 8 points, grabbing 5 rebounds and dishing out 3 assists. Yes, there were Wildcats that had more productive games. But Diarra delivered quality minutes for the Wildcats when they needed them. Going into Friday’s game, barring a setback, Diarra has the opportunity to do it again. He could start, given that Trice only played six minutes in the quarterfinals and Diarra looked healthy. 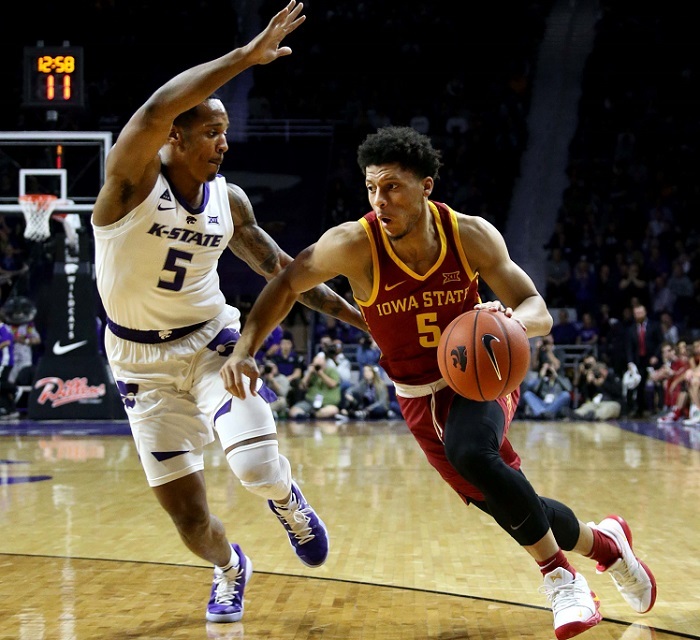 Iowa State: Iowa State had four players in double figures in their quarterfinal win — Horton-Tucker (21), Shayok (18), Halliburton (13) and Lindell Wigginton (16 off the bench). 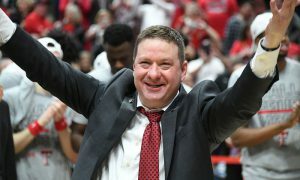 If you recall a month ago the Bears went into Hilton Coliseum and defeated the Cyclones. They did it with superior rebounding and forcing turnovers. The Cyclones turned the tables on the Bears on Thursday. Iowa State didn’t outrebound the dogged Bears, but they were only outrebounded by 5, 35-30. That was an improvement over their last meeting. But Iowa State shined when it came to ball protection. The Cyclones only had 8 turnovers to Baylor’s 14 and played some of their best defense in recent memory. 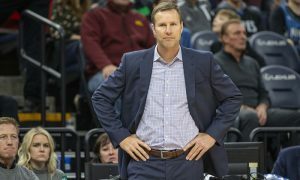 It might be too much to expect the Cyclones to shoot better than 50 percent two games in a row. But if they can, they could be hard to beat. Kansas State: Xavier Sneed hit a dagger of a 3-pointer in the final minute of K-State’s win over TCU on Thursday, one that came almost from desperation. The Wildcats had allowed their lead to be whittled to 3 after three straight possessions without points and appeared on their way to a fourth scoreless possession when Sneed put up a 3-pointer at the buzzer of the shot clock and made it to give Kansas State a six-point lead. That was the game and the capper to Sneed’s exceptional game, as he scored 19 points, grabbed 7 rebounds and dished 5 assists. Barry Brown had 12 points, Kamau Stokes had 11 points and Makol Mawien had 10 points. K-State drew even on the boards (36-36) and forced TCU into 18 turnovers with their vaunted pressure defense. Iowa State: The Cyclones were called for just 14 fouls against Baylor. Kansas State: Five Wildcats played 29 or more minutes against TCU. The other three players that logged meaningful time went a total of 23 minutes. Who wins? 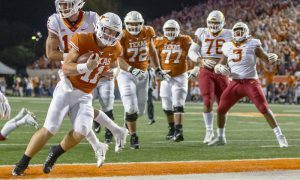 : Iowa State is the deeper team and the team that can score in bunches. Kansas State is the team that doesn’t shoot as well, doesn’t score as much but plays impeccable defense. Plus, the two teams split during the regular season. At this point in a tournament like this any game is a toss-up. I liked what I saw from Iowa State in its win over Baylor, but can the Cyclones sustain that sort of shooting for another game? I’m not sure, even as good an offensive team as they are. Kansas State looked great in the second half after a rough start. They’re not an efficient offensive team but they force teams like Iowa State into mistakes. Plus, it’s that contrast in styles again — Iowa State wants to run the floor, Kansas State wants to keep it halfcourt. Despite the depth issues for K-State their defense was incredible against TCU, and they forced Alex Robinson, one of the league’s best point guards into six turnovers. I think Kansas State’s defense will slow Iowa State down, the Cyclones’ shooting won’t be quite as sharp and the Wildcats will advance to Saturday’s final.